Hire.Net Developer,Ad one Group, Software Solutions. It is a challenging task to find a reliable and highly skilled .NET developer in the market easily. Adone Group has a strong team of .NET developers who are specialists in their field and have consistently delivered feature-rich web solutions to clients. We have an impressive list of valuable customers who are highly satisfied by the solutions provided by us. We have a robust development facility in-house which fulfills the technological needs for development. 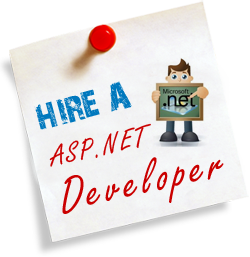 Outsourcing your .NET project to us would enable you to save costs on investing on these expensive technologies, hiring .NET professionals and save time in the development process. Adone Group has delivered results, on time, to clients globally on projects that were initiated on diverse plans and at diverse scales. We take up turnkey development projects and offer support and maintenance services.